Chickens are cool but I'm really passionate about field mycology. 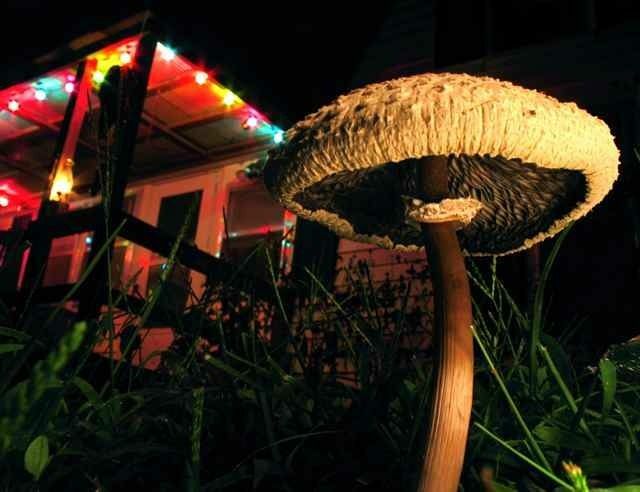 Identifying wild mushrooms can be challenging but quite rewarding in a nerdy sort of way. Below you will see a handful of some of my mushroom photos. 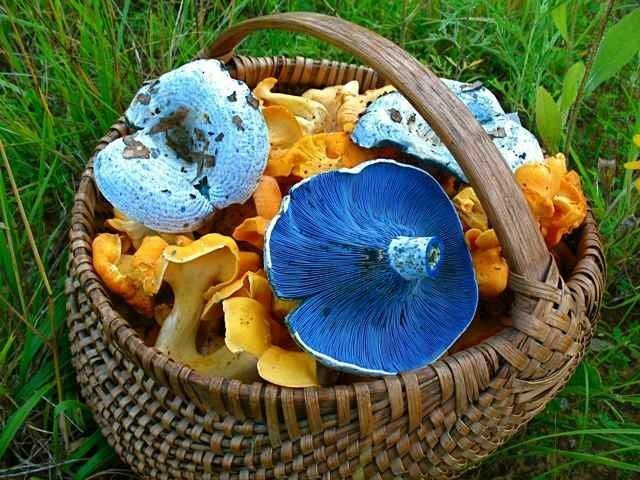 The basket above features Lactarius indigo and Cantharellus lateritius, the former isn't the best tasting edible mushroom but who can resist the color!! These are both fairly distinctive mushrooms that are fairly safe for inexperienced hunters to collect for the table. The many species within the genus Cantharellus, known collectively as chanterelles, are some of the most prized mushrooms for cooking. 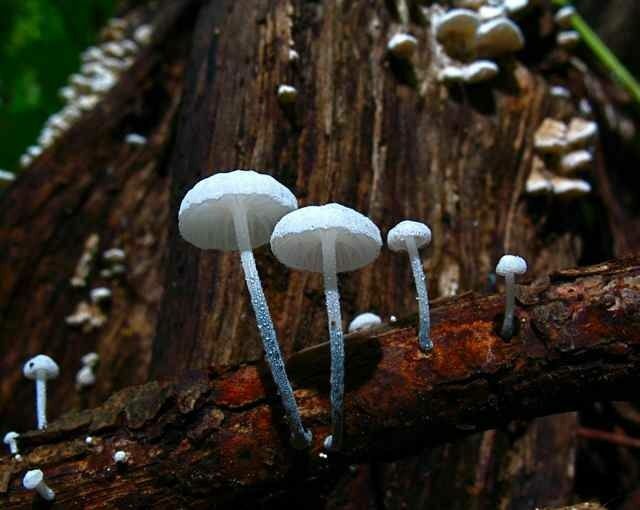 Here is a photo of the species that is responsible for most cases of mushroom poisoning in the United States. Chlorophyllum molybdites is a green spored parasol mushroom that should be avoided, unfortunately there are delicious species that are morphologically similar. These are common in lawns. 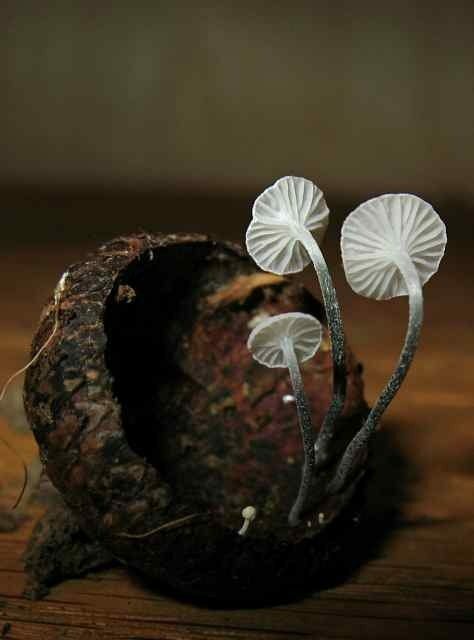 These beautiful little mushrooms are Marasmiellus nigripes. They are a pretty common and widely distributed taxon but their diminutive size makes them easy to overlook. The specimens featured in these photos have cap diameters that range in size from about .5mm - 6mm. 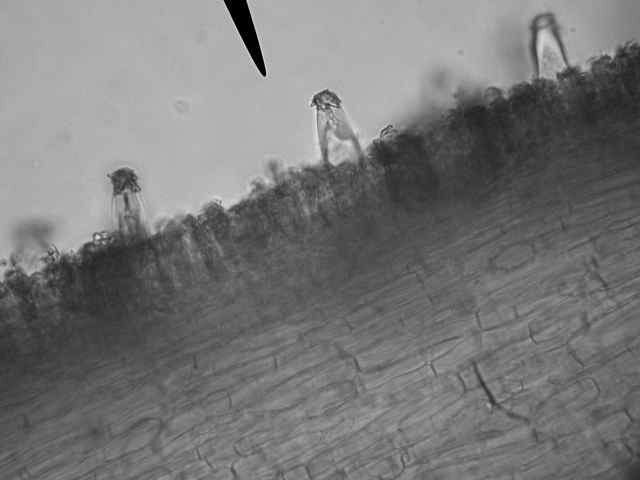 If you are serious about identifying many mushrooms, a microscope is invaluable, even then it is often difficult. The photomicrograph above features the fertile surface magnified 1000x of a mushroom I wasn't able to identify beyond the genus of Inocybe.